From afar, wildfires seem worse than tornadoes, hurricanes and earthquakes. This is mainly because wildfires can continue raging for weeks – destroying everything in their paths. 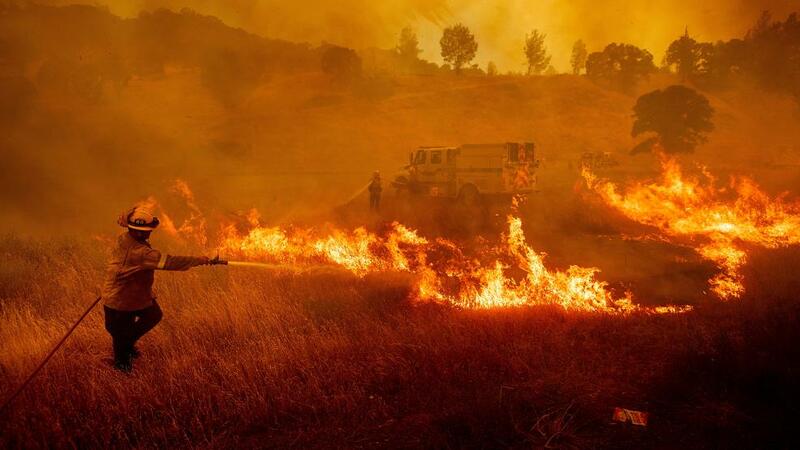 The most recent wildfire (The Camp Fire) was the deadliest and most destructive wildfire in California, burning out of control for 17 days. The Camp Fire resulted in at least 85 deaths, 153,336 acres of burned land and 18,804 structures burned to the ground. The estimated cost is $7.5 – 10 billion. Some 5,596 firefighters from 101 fire crews were dispatched to fight this fire. Two hundred of these firefighters are prisoners. While incarcerated, men and women firefighters volunteer to train and serve on their own crews. They work most days clearing brush so future fires don’t “jump” over roads and continue down a path of destruction. When wildfires occur, they are called to duty just like other trained firefighters. They battle fire, they save lives and they risk their own lives to help people they don’t know. Joe’s Perspective: I have always respected the men and women who serve as firefighters. It is a noble profession. Quite frankly, they do heroic work. I’ll be honest though. I didn’t know that inmates participated in this profession. They perform this valuable service for the state of California and its citizens. They volunteer for this brutal work, which is probably better than a 10×12 cell. They get paid a measly $1 and hour so it certainly doesn’t make anyone rich. However, they receive on-the-job training to use in a profession after incarceration. They also know what it is like to positively contribute to society. Instead of being shunned, they are now applauded and thanked. They risk their lives and become a part of this noble profession. How cool. We have a tendency to look at someone in prison as “bad,” instead of as a person who did something bad. To various degrees, we all do things that are bad or wrong at some point in our lives. Very very few people are either all bad or all good. Stories like this remind me that almost all of us have the ability to do good as well. It’s in us all. Some times we just need the opportunity or the training. Thank you to the state of California for providing both to these inmates. And, thank you to the inmates who provide their service to the fine people of California. Your Turn: What are your thoughts about this program and about these inmates who serve as firefighters? It is a win,win — the individual who is enhancing their self concept, learning how to work as a team member, and potentially developing job skills. Additionally it is a win for society that will benefit from a functional citizen.